If you thought tangled and dry locks were only a summer issue, think again: Damaged hair knows no season and if you're noticing split, frayed ends, it's a telltale sign you need to give your hair more TLC. Often caused by pollution, extreme weather conditions, and heat styling, split ends are all but inevitable — unless your beauty cabinet is stocked with the right products to treat and prevent them, of course. 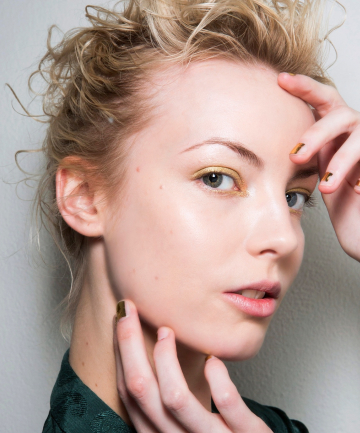 To tame frizz, add shine, and reduce future breakage, consider adding one (or a few!) of these leave-in conditioners, serums, and oils into your daily routine. Because no one — we repeat: no one! — should have to shed tears over a split end.